Life is Good... At the Beach: Catching up! We played catch up this weekend. We finished all our Christmas shopping, except our gifts for each other. I finished up the holiday cards and they are ready for stamps tomorrow. 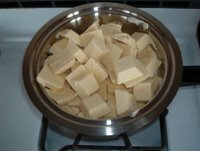 Melt 2lbs of White Chocolate in double boiler. 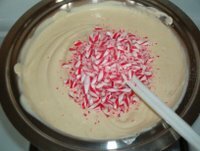 Crush 12 peppermint candy canes and add to melted chocolate along with 1/2 tsp of peppermint extract. 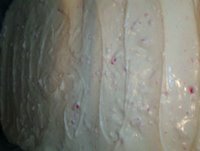 Spread on a baking sheet lined with parchment. Chill in refrigerator until hard, crack and serve. Will last several weeks in a tin in the fridge. That is my friend's favorite candy. People always buy it for her--no one ever has made it. You make the yummiest stuff. I'm comin' over! 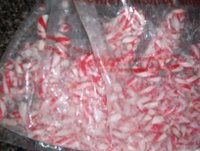 The candy canes I have run into are vegan. 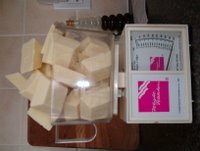 White chocolate, not so much--so I need to find a recipe to make it mock. Or else just use dark chocolate (which works for me anyway). Hi there! Saw you on Running2K's blog - thought I would stop by. Neat place you have here! Don't tease Barb! I made more today, that include RUM!